THERE’S PROBABLY A LOT YOU DON’T KNOW ABOUT CANADA. For instance, it has 20% of the world’s fresh water, the longest coastline on Earth, and the $100 bills smell like maple syrup (even though the Treasury Department denies they did it on purpose). Every province and territory — all 13 of them — features some of the most gorgeous natural scenery in the world, as well as bustling cities and towns full of culture and action… sometimes right next to each other. Whether you love to ski, sail, check out the latest bar, or catch a film festival, there are many opportunities to explore Canada’s enormous outdoors while still having access to incredible restaurants, locally-owned stores, and buzzing music and arts venues. My first trip to Cape Breton Highlands National Park was when I was about six. It made such an impression that I spent more than 20 years trying to come up with an excuse to go back. When I finally made it in 2008, I set up my tent under massive pines, a mother moose and calf meandered by my camp, and basically all my childhood dreams came true. Chéticamp, the small Acadian town at the western entrance of the park, has a population of mostly native French speakers — although there are still a lot of ceilidhs, Scots-Irish “kitchen party” musical nights, flourishing across the English-speaking Maritimes. The town’s motto is “toujours chantante,” which means “always singing” — it’s likely you’ll hear the occasional sea chanty (a work song traditionally sung on sailing vessels), and maybe even learn to sing along. In this vibrant town you’ll also find the excellent Les Trois Pignons museum, dedicated to Acadian culture, and crafts stores selling locally-made hooked rugs. As my home province, I’m partial to any destination on Prince Edward Island. A great debate between Islanders is fought over the superiority of north shore beaches (sandy and windy) versus south shore beaches (rocky and calmer), but I don’t know anybody who doesn’t like Brackley Beach in Prince Edward Island National Park. The park includes three sections of coastline. In the westernmost area, you’ll find the ever-popular beach and town of Cavendish (birthplace of L.M. Montgomery, PEI’s most famous writer — she penned Anne of Green Gables). 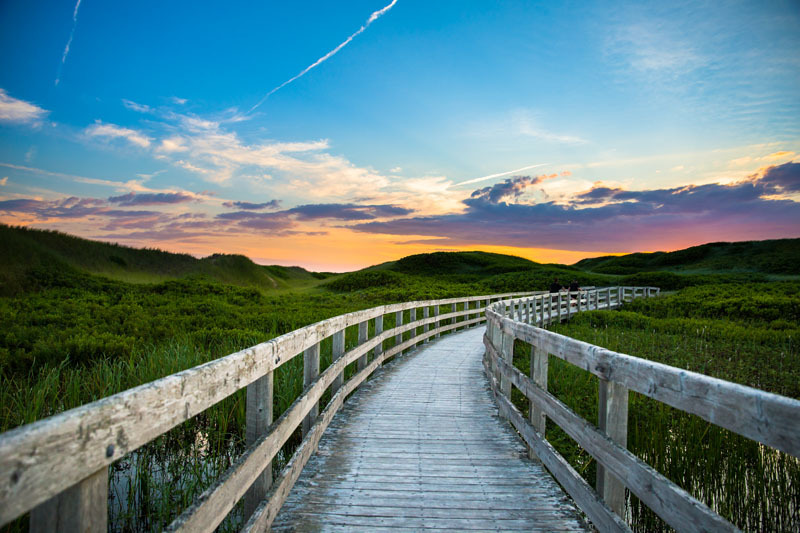 Greenwich Beach is on the eastern end, and is home to the largest sand dunes on PEI. North Rustico sits between the west and central chunks of the park. It was originally an Acadian settlement and these days is known for its lobster fishing and vacation cottage rentals. My mom and her quilting cronies come out here to scout for antique sewing machines and watch the local theater company. Trek out to the lighthouse for a truly spectacular view of North Rustico Harbour and right out across the Atlantic. On your way back from Brackley, stop at The Dunes Studio Gallery & Café for their local art exhibits displayed in bizarrely numerous staircases. A 4.5-hour drive from Montreal, the Saguenay−Lac-Saint-Jean region has two major waterways — the Saguenay River and Lac Saint-Jean. Surrounded by forest and glacially formed hills, the area is considered one of the most stunning in Québec, and it’s almost exclusively French-speaking (although many of the more urban areas in Québec are bilingual). Basically, it’s like an exceptionally beautiful chunk of Europe — if Europe had enormous and gorgeous wilderness parks. There’s not much between Saguenay and the Arctic Circle save for a few Innu and Cree towns and a whole lot of beautiful landscape. Saguenay is temperate and warm in the summer, so you can join in on some amazing lake fishing or go on black bear observation tours. You’ll want to bring a French phrasebook, but the auberges (inns) along Lac Saint-Jean are welcoming and comfortable. If you go in March or April, you can visit a cabane à sucre sugar shack and taste some of the region’s traditional maple-syrup-based foods, like tire (maple taffy made by pouring syrup onto snow) or fresh pea soup with maple-cured ham. 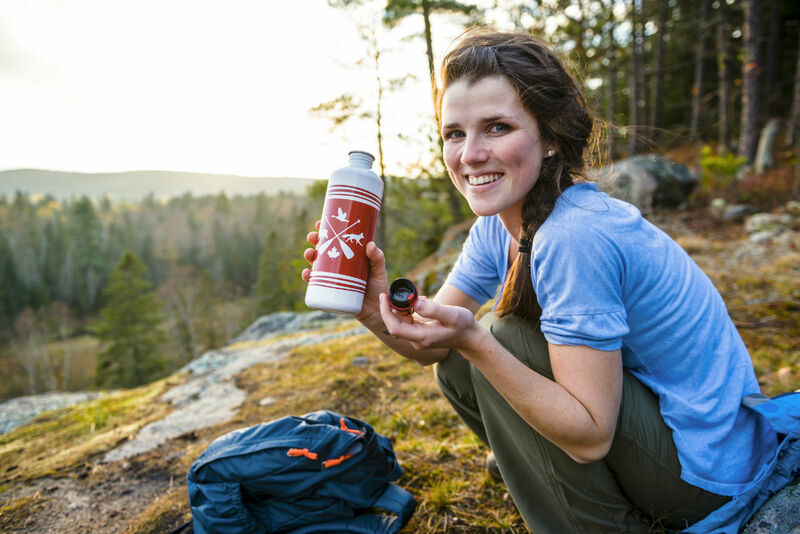 Algonquin has been a provincial park since 1893, although the First Nations Anishinaabe peoples have occupied the area since long, long before that. There are year-round campgrounds scattered around the area, many of which are only accessible by canoe or foot — making them the perfect place for a relaxing getaway. Loons can be heard throughout the park, as well as the occasional elusive pack of eastern wolves — they can sometimes be seen on “wolf howl” expeditions in August and September. Huntsville, Ontario, is the largest town in Muskoka — a region dotted with over 1,600 lakes that’s popular cottage country for Torontonians. Famous Canadian artists the Group of Seven painted landscapes here that can be seen in museums across the country like Toronto’s Art Gallery of Ontario. Huntsville hosts a series of art festivals, including a literary festival and a theater festival, and it’s one of three Canadian towns that run Ironman triathlons. If you look at Hudson Bay (or Kangiqsualuk ilua in Inuktitut) on a map of Canada, its perfectly rounded edges make it appear like an artifact of a long-ago meteor strike. In actuality, the bay was formed by the same tectonic event that created the Black Hills of South Dakota. This geologically ancient inland sea has a lower salt content than most other ocean waters, so it’s ice-locked for large portions of the year. Sparsely populated and frigid, it’s also one of the most starkly beautiful regions in Canada. The aurora borealis are visible on a regular basis, and summer whale watching sightings often include belugas (ask any Canadians to sing you this Raffi song to set the mood). Churchill, on the edge of Hudson Bay, is the best place in Canada to see the large roaming population of polar bears on their migration across the coastal ice. The bears sometimes venture into town, which has led to the creation of a “Polar Bear Jail,” where inmates are briefly held before being transported by helicopter back to their hunting grounds. Most visitors, though, opt to check out the bears in their natural habitat via one of the tours that run out of Churchill. You’ll ride in a sci-fi-esque tundra vehicle and get the chance to see these beautiful creatures closer than you ever thought possible. The town of Banff provides a jumping-off point for trips to the hot springs on Sulphur Mountain (the peak is accessible by gondola or two switchback-heavy trails), Bow Falls, and numerous mountains and ski resorts, including postcard-famous Lake Louise, which is less than an hour’s drive to the northwest. 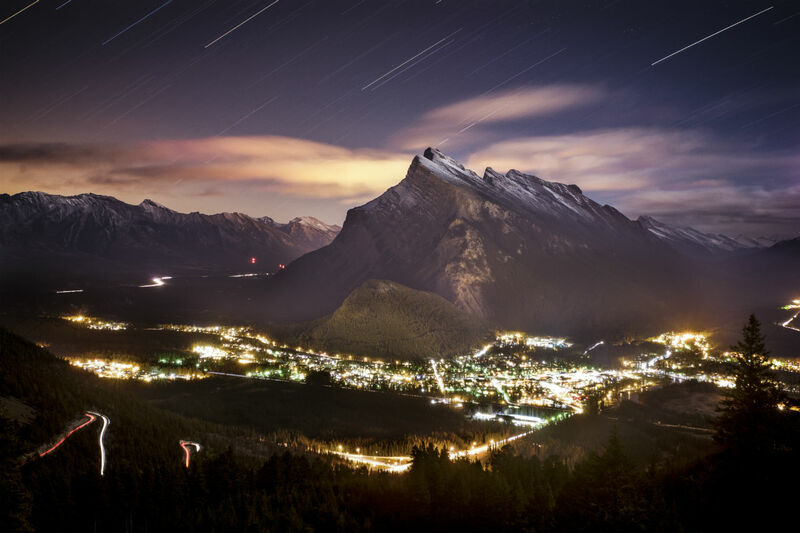 Home to more than 8,000 people, Banff is still a cultural hotspot, hosting world-class art and film festivals and home to the Banff Centre, an institution that attracts writers, musicians, actors, and other creatives from all over the world for its festivals and residencies. The town of Banff is also the starting point for the Great Divide Mountain Bike Route, which runs south more than 2,700 miles to Antelope Wells, New Mexico. Skiers might be familiar with Whistler, long considered one of the top powder resorts in North America, and famous as a host for the Vancouver 2010 Winter Olympic Games. My husband and I drove there from Vancouver along the Sea-to-Sky Highway a few years ago and spent the whole drive screaming “This isn’t even fair!” because the views of the mountains and out to the Pacific Ocean were so spectacular. Head further inland, though, and you’ll find the Kootenay Rockies. You might not have heard of them, but there’s no doubt they’re well worth the trip. Four of the province’s seven national parks are located here, and the slopes are super mellow so you won’t be crashing into newbies the whole way down. Until the 1960s, Fernie was a (failing) coal-mining town; these days, tourism plays a big role year-round in the local economy, with some of the best lift-accessed mountain biking in the country during summer. Fun fact: In 2010, it was featured as the fictional Kodiak Valley ski resort in Hot Tub Time Machine. According to local legend, the town was cursed by a First Nations chief with fire and flood — since then, the historic downtown has been leveled not once, but twice by massive infernos. 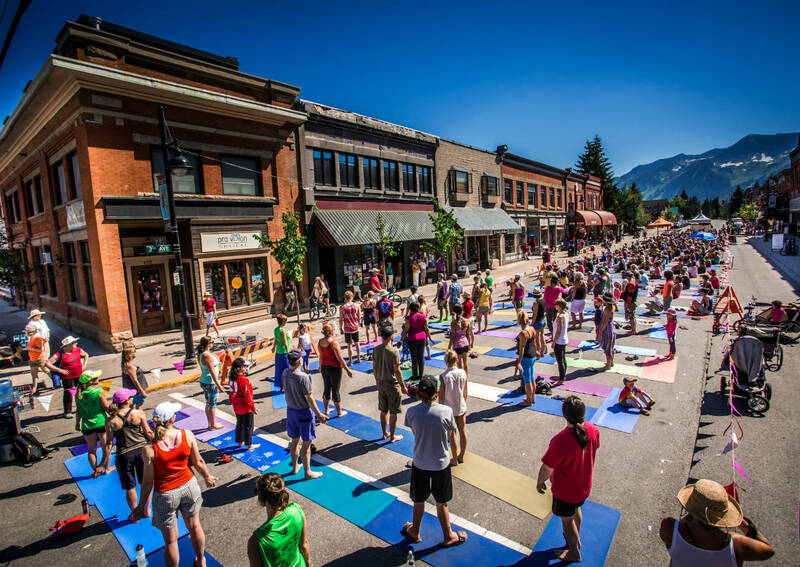 Another local myth features a baby boy raised by bears, known as “the Griz.” Every March, Fernie hosts the Griz Days Winter Festival in celebration of the heavy snowfall and amazing ski conditions. 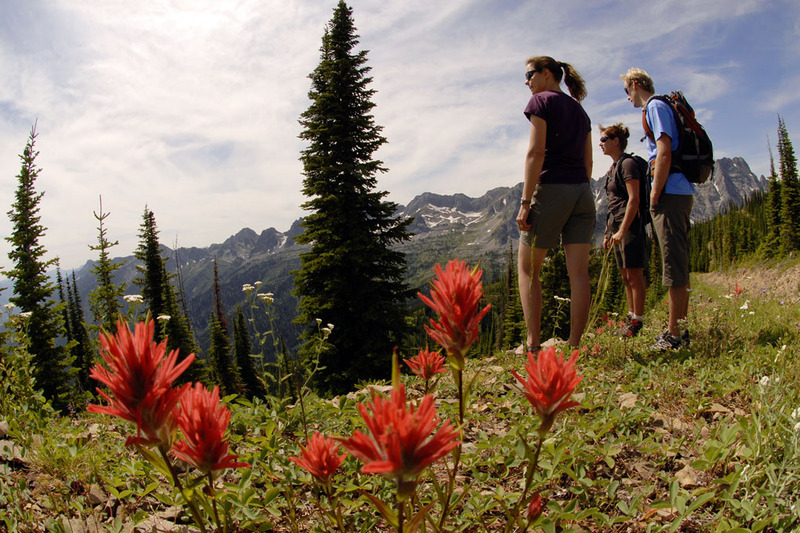 For awesome scenery, great skiing, and no shortage of festivals, the Kootenays should be on your Canada travel list, and are another great example of the country’s phenomenal nature/city pairings.